MIAMI, Florida–When the Avianca Airbus landed last January 13th in Miami International Airport, more than half a century (64 years to be exact) of air history came to an end. Finally LACSA Airlines in no more. When in 2009 Avianca and TACA Airlines decided to merge, the latter’s Costa Rican hub (once developed by LACSA Airlines since the 1980s) run the chance of being shut versus TACA’s El Salvador and Lima hubs and of course Avianca’s at El Dorado in Bogota. LACSA’s San Jose hub was developed since 1979 when the then Costa Rican flag carrier expanded its service to New Orleans, New York, Los Angeles, San Francisco, Orlando and Toronto in North America and Bogota, Lima, Quito, Guayaquil, Rio, Sao Paulo in South America. At that time LACSA’s slogan was: “Uniendo las Tres Americas” (Uniting the three Americas). 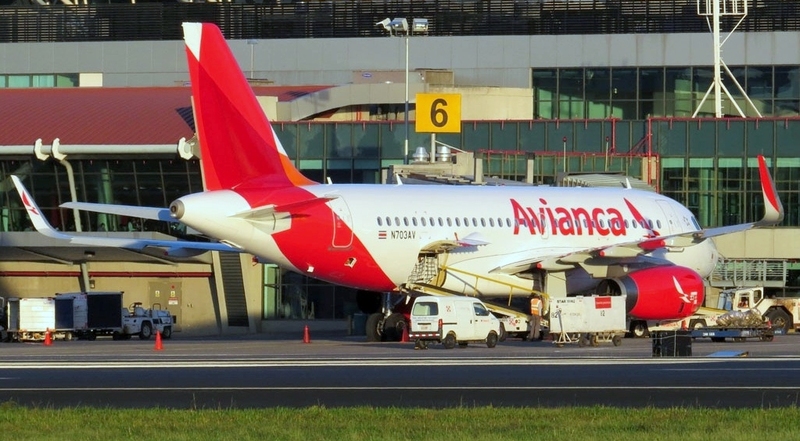 Now Costa Ricans travelling to South America should use Avianca’s Bogota hub and for North America, the hub at El Salvador International Airport. Everybody hopes the vaccum left by Avianca would be filled up by the new Costa Rican airline Ticos Air that is expected to start flights on the first semester of 2014 with Airbus A-319s to cities like Miami, Los Angeles and New York. Avianca suspended the last non-stop flight between San Jose and Miami last January 13th. This entry was posted in Airlines, Costa Rica, LACSA, Latin American Airlines, TACA and tagged Airbus A-320, Avianca, LACSA, Los Angeles, Miami, New Orleans, New York, Orlando, San Francisco, TACA.